After the long, cold winter you deserve to take advantage of what the city has to offer and welcome in Spring! There is no greater place to do this than in the Danforth Village, where restaurants and stores are plenty and the freshness of Spring is coming alive everywhere. You can fill an entire day in this fun-filled area of our brilliant city. As you walk along the Danforth between Victoria Park and Westlake Avenue you will breathe in the scent of fresh baked bread from local bakeries, the sweet scent of freshly blooming flowers and the Spring air. If you’re lucky you might even spot a Robin to assure you that Spring really is really here! Why not run all of your errands in this beautiful area of Toronto that has so much to offer? With your long to-do list, we know you can check-off all of your list in the Danforth Village, where there are banks, car sales and rentals, computer stores, grocery stores, furniture stores, clothing stores, hair stylists, laundromats, pharmacies, post offices, real estate offices, dry cleaners and so much more. It is time to welcome in the new season with a fresh look! Danforth Village is the perfect place to begin with a fresh haircut from a local barber or head over to a salon for a hair-do make-over. 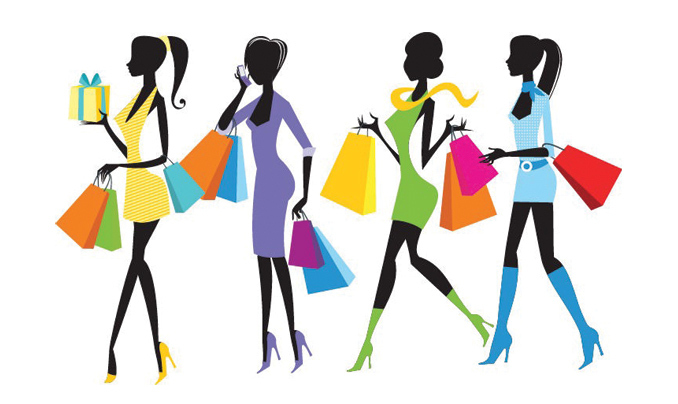 Don’t forget to check out the 2014 Spring fashion trends in the shoe stores, and clothing shops. It is also time while the selection is great to pick up new chairs for the backyard and stock up on camping equipment or cottage gear. This time of year when the sun is shining we like to call it “patio weather. “Patio weather” means it is time to enjoy the many boulevard tables and chairs along the Danforth Village with their variety of food menus or just enjoy a tall glass of cold iced tea, a mug of chilled beer, or a glass of crisp white wine. When you begin your day in the Danforth Village you will never want to leave with all of the great shops, places to grab a bite to eat and things to do. Be sure you wear comfy shoes because chances are you will be enjoying all aspects of this vibrant area and be surprised at how long you stayed. Now is the time to delight in the new Spring fashions, the many shops, restaurants and all the Danforth Village has to offer.